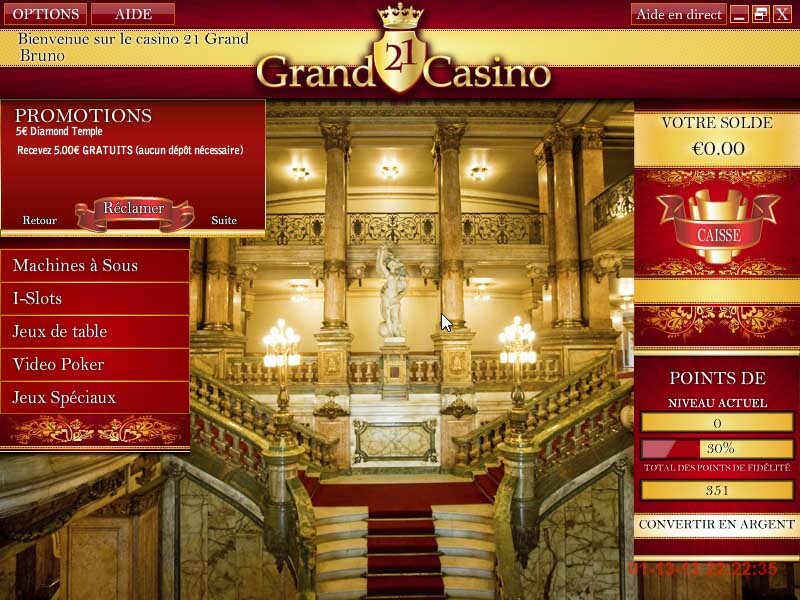 The elegant outlook of the design at 21 Grand Casino, welcomes every amateur of gambling. Every video game of chance is provided especially for the pleasure of the public. Only the finest games where chosen by the Rival software platform, which brings many interesting titles to the collection. There is no place for any suspicious activity on the casino website, only reliable programs are allowed. The brand is regulated under the jurisdiction of Netherlands Antilles. Weekly Bonuses are being given to the players, as a part of a promotional campaign, with the No Deposit Bonus especially chosen to give the visitors a chance to try out some of the games. 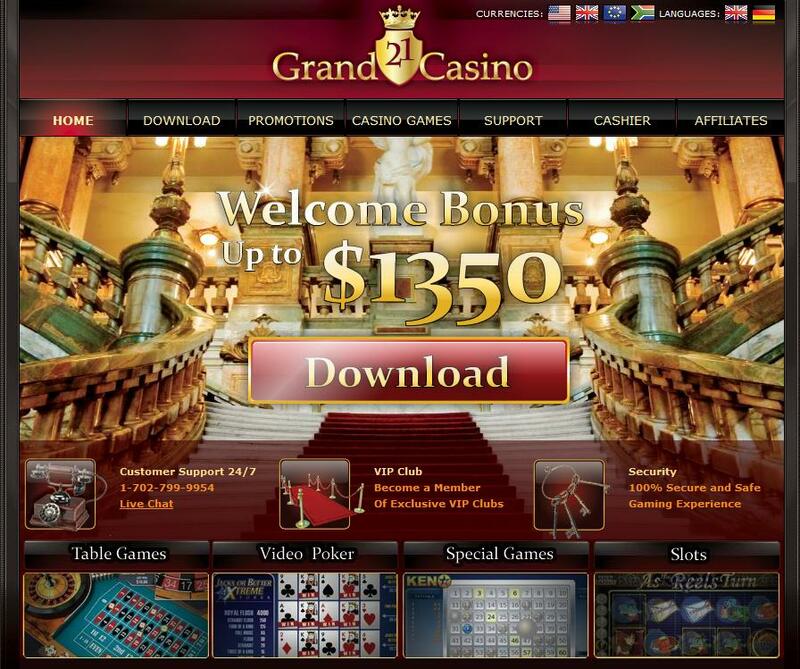 More than over 70 different games are available at the 21 Grand Casino. iSlots provide a unique opportunity to immerse yourself in a deep storyline. 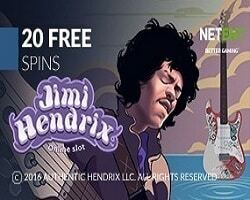 Video Slots give the chance to get free spins on selected titles. 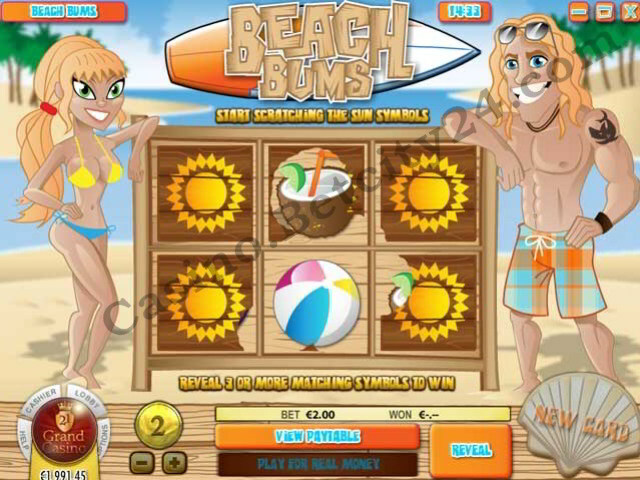 Progressive Jackpots and 3 Reel options can be chosen with the Classic Slots. Video Poker can now be played with even up to 25 hands in a game. Table Games come also in abundance, including Roulette, Blackjack, Craps, War, Caribbean Stud and Three Card Poker. Other games consist of Scratch and Win or Keno Sudoku Box.